Since taking office in 2017, Trump and his administration have systematically dismantled protections for worker across the country. In this issue of the Label Letter, we have compiled ten things to watch for in 2018, the good, the bad, and the ugly. According to a recent New York Times article, the Trump Administration is attempting to demote senior civil servants whose decisions at the National Labor Relations Board (NLRB) have favored unions and is proposing to reorganize regional offices so that a smaller number of senior officials would oversee the day-to-day workings of the agency. The agency is also directing its regional directors to submit significant cases to General Counsel Peter Robb for advice. 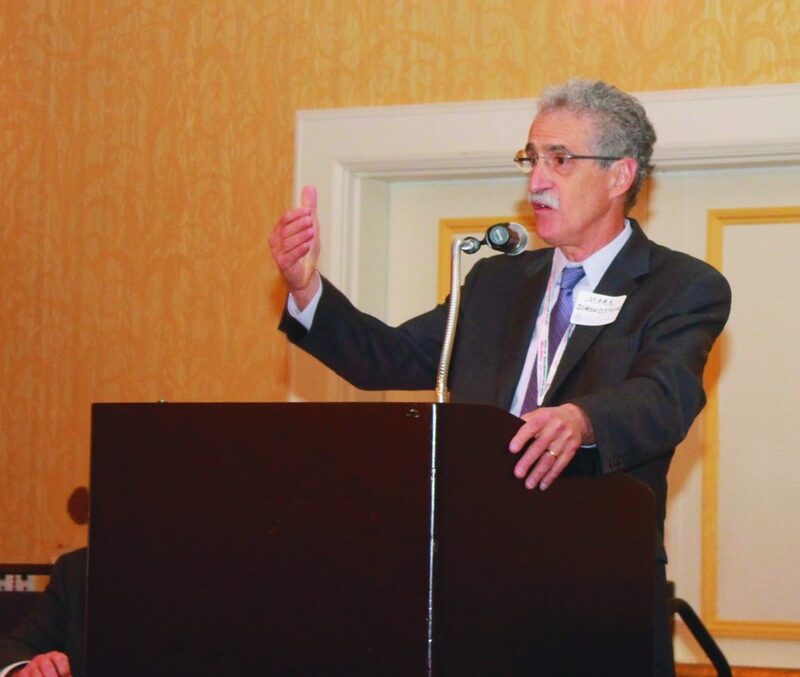 During a January 11 conference call, Robb said he wants to reorganize the agency’s 26 regional offices into a smaller number of districts or regions, run by officials who report directly to the General Counsel, Bloomberg Law reported. Regional directors and staff typically resolve more than 85 percent of the roughly 20,000 cases filed with the agency each year over disputed labor practices without involving the general counsel, the agency’s top enforcement official. In addition to the reorganization proposal, a memo from Robb issued in December instructed the Board’s regional directors and other officers to submit cases involving “significant legal issues”—including cases that were decided during “the last eight years that overruled precedent”—to be submitted to the Board’s General Counsel for advice. Purple Communications, 363 NLRB No. 162 (2016), in which the Board held that employees have a presumptive right to use their employer’s email system to engage in activities protected by Section 7 of the NLRA, including union organizing. Browning-Ferris Industries of California, Inc., 362 NLRB No. 186 (2015), in which the Board found that mere potential control over the working conditions of another employer’s employees was sufficient to find a joint employer relationship. A series of decisions that expanded the range of union representatives in Weingarten interviews, such as Fry’s Foods Stores, 361 NLRB No. 140 (2015). Prior to Fry’s Food Stores, it was well-settled that an employee represented by a union is entitled, upon request, to union representation at an investigatory meeting in which the employee has reasonable grounds to fear that the meeting will result in disciplinary action. NLRB v. J. Weingarten, Inc., 420 U.S. 251 (1975). Fry’s Foods, however, expanded upon Weingarten by holding that an employee also has the right to consult with a union representative before the employer interviewed the employee about the misconduct, even without the employee requesting such a meeting. A series of decisions that found common employer handbook rules to be unlawful, such as Casino San Pablo, 361 NLRB No. 148 (2014) (finding that a rule prohibiting “insubordination or other disrespectful conduct” to violate the National Labor Relations Act because the rule might be deemed as “encompassing any form of Section 7 activity that might be deemed insufficiently deferential to a person in authority”). While some are claiming that reorganization is budget-related, Robb was said to have told the directors that the changes were independent of budget considerations. No matter the reasons, the memo and conference call both leave little doubt that the structure of the Agency will certainly favor businesses and that changes will rollback many, if not all, of the union-friendly decisions issued in recent years by a Democratic-majority Board. Missouri residents will get to vote on whether Missouri will become the 28th right-to-work state in the U.S. 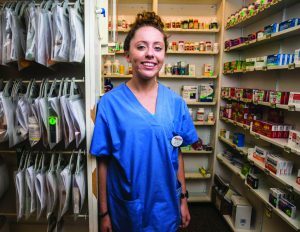 The legislation was introduced and passed during the 2016 legislative session, but labor fought back, and in a stunning turn of events, collected more than 300,000 signatures forcing a public vote. The vote, known as a ballot referendum, is scheduled for the November 6, 2018, election. However, Republican lawmakers could try to move the vote to April, when turnout to the polls is much lighter. In 1978, Missourians rejected a ballot proposal to implement right-to-work in the state with 60 percent of voters casting a no vote. The GOP-controlled Missouri Legislature rushed the legislation through early in 2016 and Republican Gov. Eric Greitens, who campaigned on the anti-worker measure, signed it. The U.S. Supreme Court is expected to rule on the Janus v. AFSCME case in early spring, and the ruling is expected to go against public sector unions. The case is basically a repeat of the Friedrichs v. CTA case argued last year in the Supreme Court that ended in a 4-4 deadlock after the death of Justice Antonin Scalia. 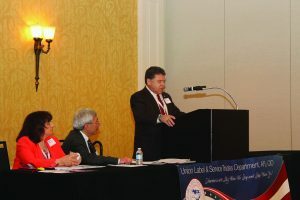 In both cases, the anti-union side argued that interactions between public sector unions and government employers are inherently political, therefore, fair share agency fees that reimburse the union for the expenses of representation and bargaining were forced political speech, violating employees’ purported First Amendment rights. The Janus case was brought against AFSCME by Illinois Governor Bruce Rauner, in the name of a state employee, Mark Janus, who says he does not want to pay a “fair share” representation fee to the union. The Janus decision is expected to overturn a 40-year old ruling in Abood v. Detroit, which held that employees were required to pay for the cost of fair representation since unions are required by law to represent all employees in a bargaining unit. The four largest public-sector unions – the National Education Association, American Federation of Teachers, Service Employees International Union and AFSCME – are joined in opposition, saying the case is a political attempt to rig the nation’s economic rules against working people by depriving the unions of adequate funding. “These powerful interests want to gut one of the last remaining checks on their control—a strong and united labor movement that fights for equity and opportunity for all, not just the privileged few. And under the guise of the First Amendment, they want to overturn a 40-year precedent that’s been reaffirmed numerous times. In other words, this would be a radical departure from well-established law. We believe that after resolving a similar case last year, the Supreme Court erred in granting cert in Janus, and that the trumped-up underpinnings of the plaintiff’s argument will rapidly become clear before the full bench,” said AFT President Randi Weingarten. If the decision goes as expected, all public employee unions would become right-to-work and employees would be allowed to opt out of paying fair share representation fees. The DOL has argued that managers would be dissuaded from stealing tips, out of fear of employee turnover and decreased morale. Despite those claims from the DOL, the National Restaurant Association, and other restaurant-owner advocacy groups that employers would not steal tips if the rule takes effect, current estimates is that many employers already do. According to a study by EPI, research on workers in three large U.S. cities (Chicago, Los Angeles, and New York) found that 12 percent of tipped workers had tips stolen by their employer or supervisor. 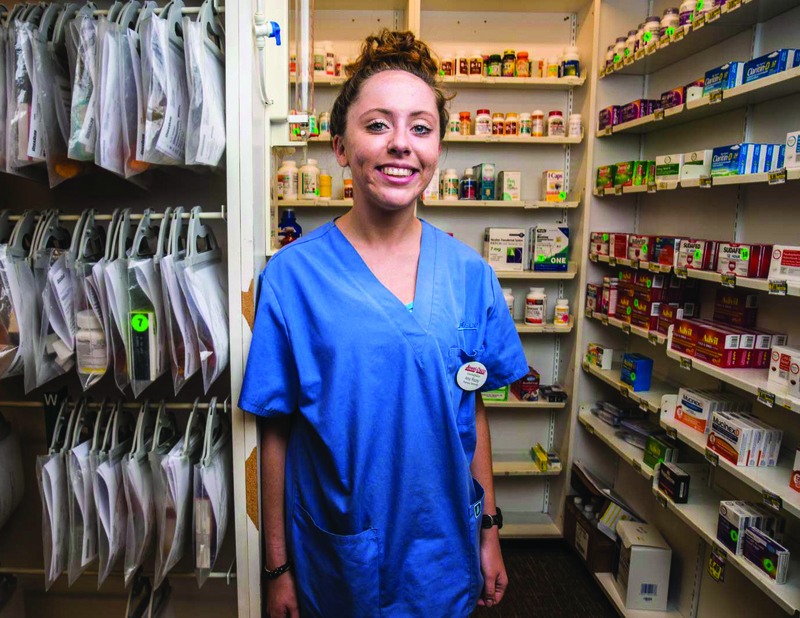 “Crucially, the rule doesn’t actually require that employers distribute pooled tips to workers,” said Heidi Shierholz, EPI senior economist, in a statement. The Department of Labor says that it couldn’t estimate the tip pooling rule’s full effect on employees, but a Bloomberg article revealed that the agency did conduct an analysis that showed that the law would be horrible for low wage workers who rely on tips. The DOL then dropped the analysis. “Senior department political officials—faced with a government analysis showing that workers could lose billions of dollars in tips as a result of the proposal—ordered staff to revise the data methodology to lessen the expected impact, several of the sources said,” said the Bloomberg article. Federal law currently bans companies from forcing workers to divide tips with other employees if the tipped workers don’t receive base pay of at least the minimum wage. The Obama administration expanded this protection in 2011 to cover all tipped workers — a move that was challenged in federal court. A public comment period on the proposed rule ended on Feb. 5. On Dec. 19, the National Labor Relations Board (NLRB) asked the U.S. Court of Appeals for the Ninth Circuit to affirm its ruling in the controversial Purple Communications decision. Purple Communications was a 2014 decision that allowed for employee use of company email for non-work purposes during non-work times. Purple Communications, a video provider for deaf and hard-of-hearing individuals, appealed a 2014 NLRB ruling to the U.S. Court of Appeals for the Ninth Circuit, that ruled that employees were allowed to send messages about union organizing over their work email. The NLRB’s 2014 ruling held that employees who already have access to their employer’s email system are permitted to use the email system for protected union-related activities because email is the premier platform for “worker speech” in the modern workplace. In the 2014 decision, the NLRB also ruled that employers may institute a complete ban on non-work email use only if the employer can justify the ban by identifying “special circumstances” that make the prohibition necessary. This ruling overturned a 2007 NLRB judgement that held employees had no right to use employer email for union activity. In its appeal, Purple argues that the NLRB’s 2014 ruling unfairly restricts employers’ rights to control their own computer systems and that allowing these emails, similar to physical union literature, could clutter workers’ inboxes which would interfere with productivity. Purple also argues the NLRB’s ruling violates the company’s First Amendment rights by letting employees distribute messages through their employer-provided email that Purple (and other employers) do not necessarily endorse. The Communications Workers of America (CWA) filed a brief on Jan. 19 urging the court to back the NLRB’s ruling and allow companies to permit workers to use employer email servers for non-work-related purposes. Even if the court upholds the agency’s ruling, a victory may be short lived because the NLRB’s new general counsel, Peter Robb, issued a memo late last year indicating his office may be seeking to have the board overturn the decision. Look for a ruling later this year. Eighteen states in the U.S. are raising their minimum wages in 2018. Despite efforts over the last eight years, the federal minimum wage has remained at just $7.25 per hour, prompting more states and localities to raise wages locally. Some of the raises can be attributed to legislative votes, while others come from ballot referenda. In some cases, the raises are tied to inflation, so the bumps will continue as the cost of living increases. The Economic Policy Institute estimates that the raises will impact 4.5 million workers. At this point, there are 29 states that have implemented a higher minimum wage than the federal minimum. In addition, cities and counties have raised their minimum wages beyond the state and federal levels. In some cases, the hikes have gone as high as $15 per hour – the stated goal of the Fight for $15 campaign, the union-backed movement that began with striking fast-food workers in 2012 but soon spread to other low-wage industries. Studies have shown that minimum wage increases have bi-partisan support, but despite that support, federal lawmakers have failed to pass an increase since 2009. Labor unions and low-wage workers have succeeded in getting raises passed on the state and local levels as the federal rate remains unchanged. State lawmakers and governors are making efforts to beat back minimum wage hikes by creating laws that preempt minimum wage increases passed by localities. While advocates of preemption often claim that their main concern is to avoid a hodgepodge of wage levels within a state, these bills have been pushed by corporate special interest groups and passed by pro-business state legislatures. Taking away local control over wages has become a major priority of the American Legislative Exchange Council (ALEC), a corporate-backed group with extensive lobbying resources and influence in state legislatures. The Koch brothers are major funders of ALEC’s efforts. And their efforts have been successful in half of the country. As of mid-2017, 25 states have passed laws that preempt cities from passing their own local minimum wage laws. Republicans in Missouri passed a preemption law in 2017 to retroactively kill a minimum wage hike enacted by city leaders in St. Louis. Under the new law, no locality could have a wage floor higher than the one mandated by the state. As HuffPost reported in July, the new law had the effect of reversing St. Louis’ minimum wage, taking it from $10 to the current state level of $7.70. The AFL-CIO has established a new political campaign division in its headquarters that will focus on getting labor-friendly candidates elected in the 2018 mid-term elections. The office is called the “Mobilization Hub” and will be led by Julie Greene, a former deputy political director for the labor federation and a former staffer for the Democratic National Committee. 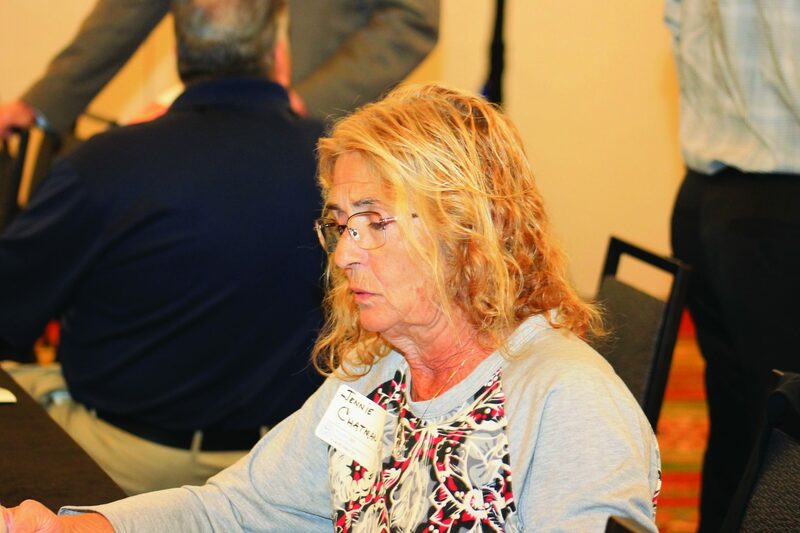 Republican or Democrat, candidates whose views align with union priorities can get help with campaigns from the Hub, said Greene. During the AFL-CIO 2017 Convention, the Labor Federation adopted a resolution “Encouraging Union Members to Run for Public Office” that pledges to adopt labor candidate programs in every state and local labor body in the country. The Hub is one step to achieving that goal. A number of state and local labor councils have labor candidate programs in place and quite a few more are developing the programs for the 2018 elections. Women already make up nearly half of union membership, and the Center for Economic Policy Research estimates they will comprise the majority by 2023. But only about 20 percent of the AFL-CIO’s executive council are women. In other unions, however, the numbers are more promising. UNITE-HERE’s leaders are 60 percent female and SEIU’s leadership is half female. 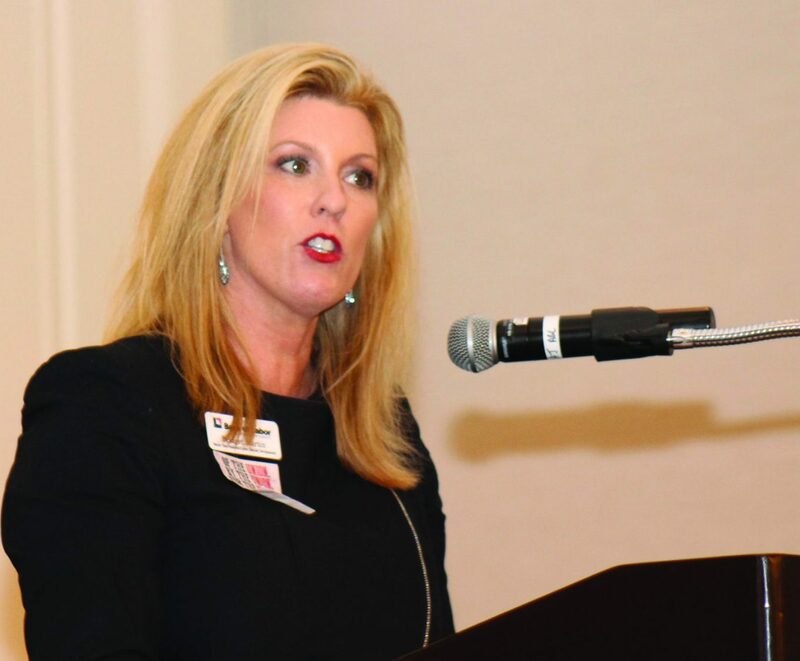 According to one report on women in union leadership, there are obstacles that often make it difficult for women to aspire to union leadership. The study identified six barriers that women face: women experience difficulty making time for the demands of union leadership, especially because of family obligations; women and people of color have a fear of retribution by employers; too few women are serving as union leaders; women express discomfort with public authority based on a belief that this is not a female role; women are not aware of how union leadership may benefit their lives as workers; and unions are not prioritizing the concerns of women. The report also identified seven strategies for promoting women’s leadership within unions. Unions can highlight the importance of women’s contributions; provide trainings on effective ways to mobilize women; encourage and support more women in leadership positions both nationally and locally; create and strengthen mentoring programs for women; provide dedicated space for women to voice their concerns; address women’s priorities by using imagery and language that reflects their experiences; and provide flexible options for involvement by finding creative times and places to meet and providing supports such as childcare. The #MeToo movment has brought sexual harassment to light in all facets of the work world and has empowered women to speak out. Because of this, many women leaders are emerging. Female union organizers are openly embracing the #MeToo movement, using political action and organizing to promote unions as protectors of women in the workplace. Employers can also expect to see unions increasingly target companies with high-profile sexual-harassment or gender-discrimination claims, including employers facing collective actions. For example, in a recent article entitled “What #MeToo Can Teach the Labor Movement,” union organizer Jane McAlevey called on women to embrace the idea of a female-led labor movement focused on obtaining free childcare, schedule control, and family leave, including in areas such as education and healthcare where women employees comprise the majority. “The union movement must step in now and connect the dots to real solutions, such as income supports like universal high-quality childcare, free healthcare, free university and paid maternity and paternity leave. We need social policies that allow women to be meaningful participants in the labor force—more of a norm in Western Europe where unionization rates are high,” wrote McAlevey. McAlevey points out that the #MeToo movement’s success should prove that women can and should lead a powerful labor movement and that labor’s resurgence should embrace women as leaders and fighters. In his first year in office, President Trump repeatedly broke his promise to put workers first, siding with wealthy corporations over working families at virtually every turn. The president and his administration, with assistance from the GOP-led Congress, launched initiatives that repealed and rolled back on-the-job protections that keep our nation’s workforce safe. All told, the Administration is further rigging a system against workers and is all too willing to sacrifice workers’ health to protect corporate ledgers. Repealed the government’s ability to enforce rules requiring accurate injury records in dangerous industries. Repealed the Fair Pay and Safe Workplaces requirements that would assure that large Federal Contractors follow safety and labor laws. At the behest of corporate special interests, OSHA issued a proposed rule to weaken health protections for workers in construction and shipyards exposed to the highly toxic chemical beryllium. Delayed implementation of life safety OSHA rules on silica exposure and the Mine Safety and Health Administration’s examination rule for metal and nonmetal mines. They also proposed weakening the MSHA rule. Proposed an increase in line speeds in hog slaughter plants that would dramatically increase worker safety risks in one of the most dangerous industries sin the country. Announced his intention to weaken pesticide protections for farmworkers, including repealing regulations that prohibited minors from applying the most toxic pesticides, and weakening protections for all farmworkers in the field from pesticide exposure. Withdrew a policy by the Occupational Safety and Health Administration (OSHA) to designate walkaround representatives to participate in OSHA inspections in non-union workplaces. Failed to replace over 40 vacancies of OSHA inspectors—thereby significantly reducing the ability of OSHA to protect workers. 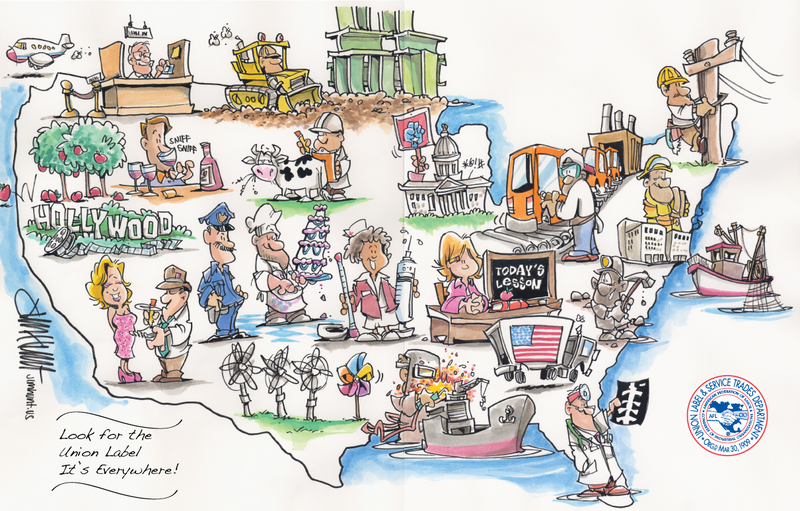 It would take OSHA over 150 years to visit every workplace just once. 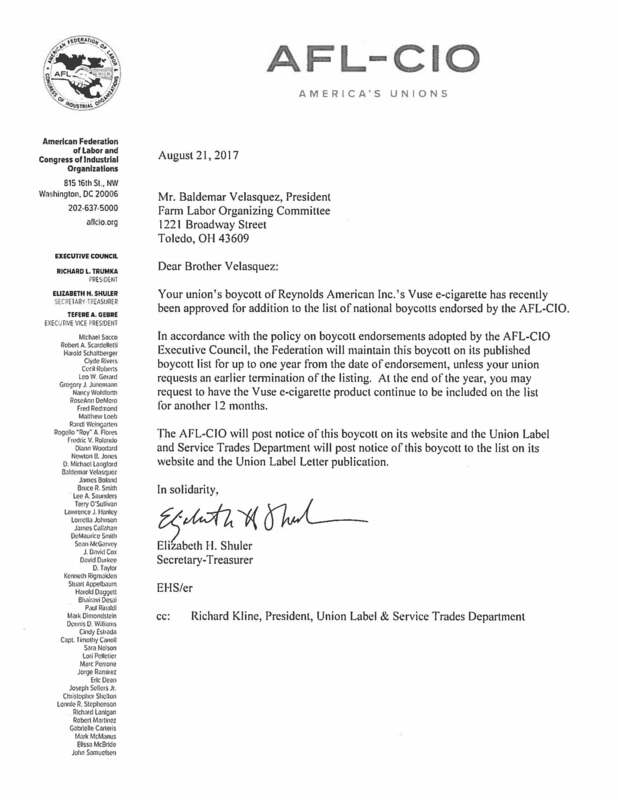 On August 21, 2017, AFL-CIO Secretary-Treasurer Shuler issued a letter approving a request by Farm Labor Organizing Committee (FLOC) President Baldemar Velasquez to add Reynolds American Inc.’s Vuse e-cigarette to the national Boycott list. Labor Day falls on September 4, 2017, this year, and is also the day in history when the United States got its nickname Uncle Sam. “Uncle Sam” is linked to Samuel Wilson, a meat packer from Troy, New York, who supplied barrels of beef to the United States Army during the War of 1812. Wilson (1766-­‐1854) stamped the barrels with “U.S.” for United States, but soldiers began referring to the grub as “Uncle Sam’s.” The local newspaper picked up on the story and Uncle Sam eventually gained widespread acceptance as the nickname for the U.S. federal government. While, Uncle Sam is the personification of the U.S. and is generally regarded as a patriotic symbol, Labor Day symbolizes the power of the U.S. worker and the hard work undertaken to achieve the eight-­‐hour day, a 40-­‐hour work week, a fair wage, and a path to the middle class. and services and expand the ideals of unionism to all Americans. This Labor Day buy union and shop union. 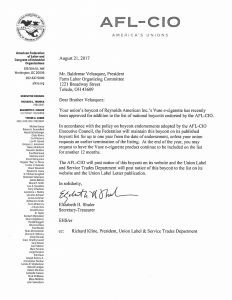 From Labor Day, Monday, September 4, through Sunday September 10, 2017 American labor will observe Union Label Week—the time traditionally set aside for union families and all consumers to make a special effort to support good jobs by looking for union-­‐made goods and union-­produced services when they shop. The Missouri AFL-CIO and a coalition of local unions called “Preserve Middle Class America” are looking to gather enough signatures to place Missouri’s recently passed “right-to-work” to work law on the ballot in November 2018. The coalition wants to give voters the chance to weigh in on the issue after it was pushed through the GOP-controlled Legislature this year and signed into law by Republican Gov. Eric Greitens. The coalition must gather enough signatures by August 25 to stop the law from taking effect and to place it on the ballot. Missouri residents can call a referendum on a new law by collecting signatures totaling five percent of voters from two-thirds of the state’s congressional districts. 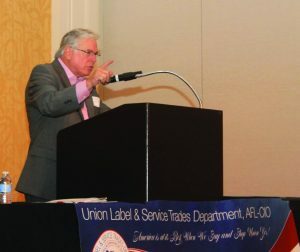 The new law, which was set to go into effect Aug. 28, would allow employees in unionized workplaces to opt out of paying union dues for the cost of being represented. Greitens says the change will boost the state’s economy by attracting more businesses, a claim the facts show is not true. Efforts to pass a right-to-work law last year were stymied when Missouri’s former governor Jay Nixon vetoed the bill. The referendum needs 140,000 signatures to get on the ballot, but the coalition is aiming to get around 300,000 to be safe. Since 1914, Missouri voters have had the chance to vote on 26 referenda – 24 laws were overturned because of those votes. According to a poll conducted by the Missouri AFL-CIO, a plurality of voters opposed right-to-work, and the plurality grows when voters are informed of what the law does. According to the Labor Tribune, other states that have passed right-to-work have lower wages, fewer benefits and more dangerous workplaces. They also, on average, have seen smaller median income growth than Missouri. In fact, two of Missouri’s RTW neighbors – Kansas and Oklahoma, lost jobs last year while Missouri created more new jobs than all its right-to-work neighbors.